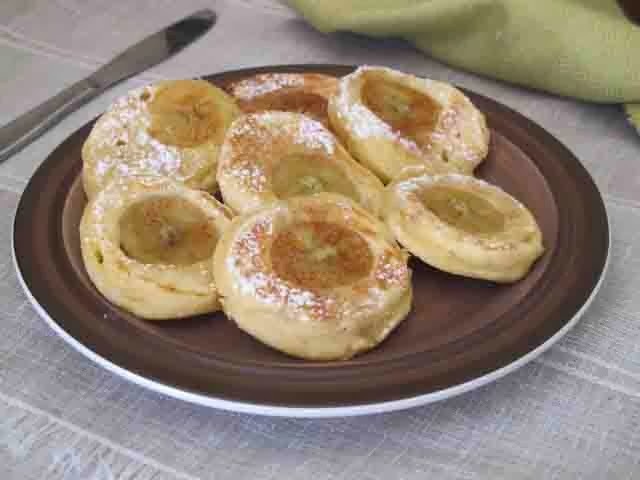 Hot out of the frying pan, these All Good banana pikelets were made with an All Good banana with a Graciella sticker on it. Graciella belongs to the El Guabo Cooperative of Small Banana Farmers. 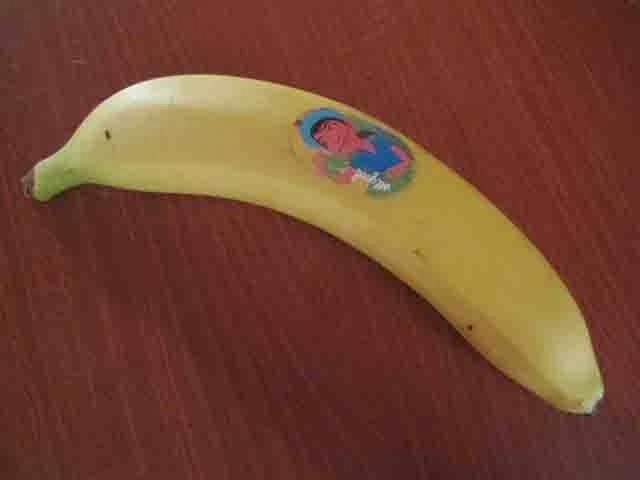 It is so good to think that kiwis have been able to contribute over $280,000 in Fairtrade Premium Funding in addition to the fair price paid for each box of bananas just by buying and eating All Good bananas. 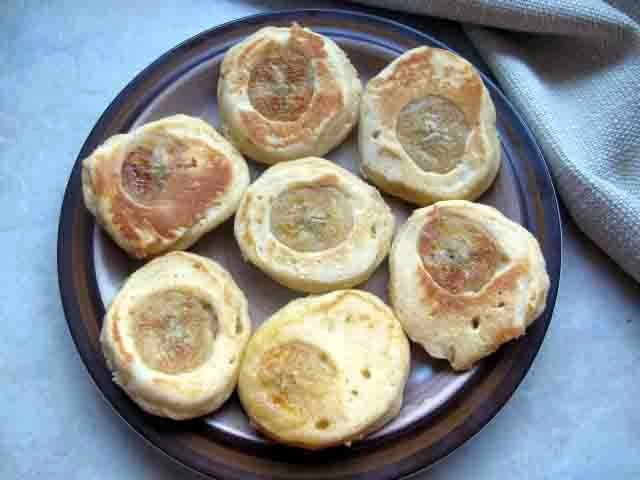 To make them use your favourite pikelet recipe . 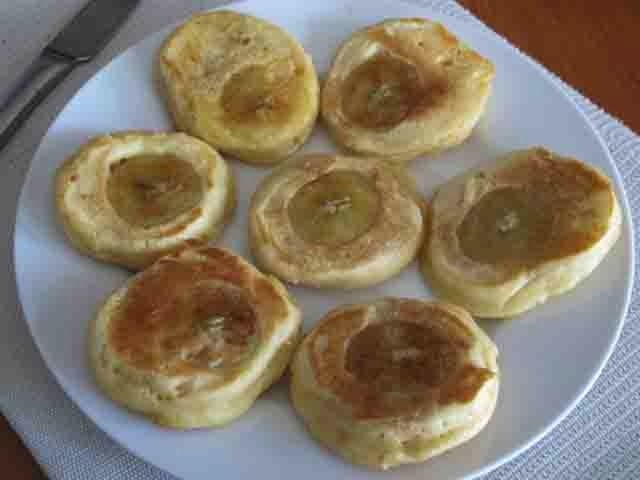 After ladling the pikelets into the frying pan place a slice of All Good Banana on top of each one. When bubbles start to appear on the surface of the batter and the bottoms are lightly browned turn them over and cook them on the other side. 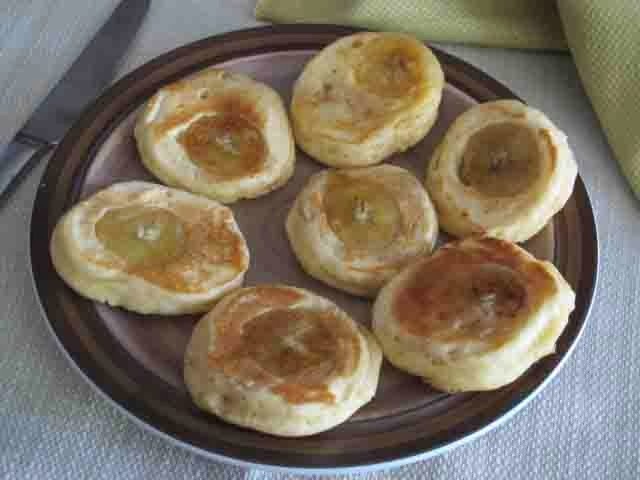 Sprinkle some icing sugar on top and serve while warm simply dribbled with some maple syrup. Or let the syrup soak in, wait until they are cold and then butter them.